Islet Cell Transplant is Cure for Type 1 Diabetes for Lady in Scotland: Kathleen Duncan, a resident of Scotland, no longer has to take injections of insulin because her type 1 diabetes has been cured due to an islet cell infusion that was performed in her homeland of Scotland by the Scottish National Pancreatic Islet Transplant Programme. Kathleen had type 1 diabetes for over 30 years and used insulin to treat her diabetes. But Kathleen Duncan also had a condition referred to as “hypoglycemic unawareness.” Hypoglycemic unawareness is when a person cannot sense that they are having an insulin reaction (severe low blood sugar). The majority of type 1 diabetic patients have some indication that an insulin reaction is coming on through symptoms that their body exhibits, such as, but not limited to, shakiness, confusion, severe headache, poor coordination, hunger, irritability, dizziness and rapid heartbeat. If the low blood sugar level is not treated within a reasonable amount of time, these initial symptoms can become more severe and include, but are not limited to, seizures, unconsciousness, stroke-like symptoms, coma and even death. When a person’s body does not “talk” to them and tell them they are in the beginning of an insulin reaction, and their body doesn’t sense that the insulin reaction is getting severe, the result can be disastrous. Because of Kathleen’s hypoglycemic unawareness, she was one of two patients to receive the islet cell transplant, and since that time has no longer had to rely on insulin. Kathleen, married to Chris and with a son named David, led a very precarious life before this transplant. She never knew when her son might come home from school and find her unconscious or if she would lose consciousness in a public setting and have to be transferred to a hospital for treatment. 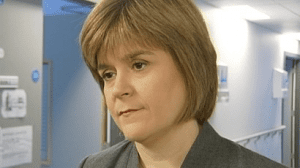 Sturgeon further added that it is the shortage of donor organs that is the main challenge. The UK had a UK Transplant Week that encouraged people to sign up for the NHS organ donor register so more organs are available for transplantation, which could save many lives and improve the lives of people in need. The largest difficulty in the transplantation of insulin-producing islets is the process by which these islets cells are transplanted. It is a costly endeavor due to isolating the islets, and this process is very complex. The process is also very labor intensive and takes a lot of time and has to be performed in a completely sterile environment. This entry was posted in Islet Cell Transplantation on July 7, 2011 by admin. Islet Cell Transplantation: Type 1 diabetes is a very serious disorder that impacts the day to day existence of the people that suffer from it. While there are many effective treatment options for type 1 diabetes there is still no cure. While there are several potential technologies on the horizon that promise to lessen or even eliminate the worst effects of the disease, such as the closed loop insulin pump (sometimes inaccurately called an artificial pancreas) and pancreas transfers, the technology that holds the most promise is the islet cell transplant. The Islets of Langerhans are microscopic bodies in the pancreas that are responsible for creating and secreting a number of important enzymes, the most well known of which is insulin. These bodies are what fail in a diabetic. In type 2 diabetes, they may produce insulin in smaller amounts than what are necessary (this is not always true–there are also other causes of type 2 diabetes) and they fail altogether in the much more serious type 1 diabetes. Type 1 diabetics must monitor their blood glucose levels many times and day and add insulin as needed, typically through injections or an insulin pump. There are several types of cells in the Islets of Langerhans. The beta cells are responsible for the production of insulin. The hope for Islet cell transplant is that the beta cells from the donor will become active in the recipient’s pancreas and begin to produce and secrete insulin in the new host. This technique has been successful in limited testing–if it can be refined and made available to a much wider audience, it will be the elusive cure for diabetes that have been sought for years. While testing is in its very early stages, some of the published results have been promising indeed. Many of the recipients have gone for a year or more without having to take a single supplemental dose of insulin. The tests are underway and hopefully the future will hold many more such promising results. One of the real hurdles that must be overcome before islet cell transplants can be made a viable option for many sufferers of type 1 diabetes is the problem of rejection. Every cell in a human body is covered with unique markers that indicate that the cell is native to the body and not an outside pathogen. Cells that do not contain these individual specific markers are attacked by the immune system which treats them as invaders. With any kind of transplant, the problem of rejection is a very real issue. Since the transplanted cells will have different markers, the immune system will attempt to destroy them since they appear to be outsiders (indeed, they are). The only way to currently prevent rejection is to use medications that decrease the activity of the immune system. This clearly has drawbacks. First, we need our immune systems function properly to keep us health. Those who have a decreased immune system are likely to suffer from a wide range of problems, including frequent cold and flu infections, a high occurrence of mouth and stomach ulcers, higher rates of general infections, etc. The complications that accompany rejection suppression will mean that islet transplant surgery will only be appropriate for those whose diabetes symptoms are worse than the side effects that they will incur because of the required immunosuppressive therapy. Another problem with the current state of islet transplants is that there simply are not enough donors available to meet the needs of even a small percentage of all type 1 diabetics. Since there will surely be overwhelming demand for the procedure once some of the details are worked out, scientists are currently investigating ways to artificially produce functional islet cells. This entry was posted in Islet Cell Transplantation on June 29, 2010 by admin. Pancreatic Islets: Almost 80 years ago, Dr. Frederick Banting published a report about use of pancreatic Islets to treat diabetes. He obtained those Islets from the pancreas of a dog. By first tying-off that pancreas, he eliminated the digestive enzymes that would otherwise have destroyed the insulin in the Islets. Following the publication of that report, diabetics could hope for a way to replace the insulin lacking in their system. Biochemists were able to extract insulin from the pancreas of an animal. That insulin could then be prepared for injection into a diabetic patient. At that time, doctors could only dream about transplanting Islet cells into a diabetic patient. Doctors have since learned that the Islets contain several types of cells. Among those various Islets cells, only the beta cells have the ability to make insulin. In the 1970s, a group of medical researchers began to look for a way to transplant beta cells into diabetic patients. Gradually, their research produced significant results. Dr. Bernard Hering at the University of Minnesota transplanted Islets cells from pigs into monkeys. He published a report about that transplantation in Nature Magazine. Then in June of 2000, the world of medicine learned about a more advanced type of Islet transplantation. Doctors at the University of Alberto in Edmonton, Canada had transplanted Islets cells into human diabetic patients. The Canadian doctors published the details of their transplantation in The New England Journal of Medicine. They followed that initial report with other reports about the ability of the transplanted Islets to maintain production of insulin. Those follow-up reports indicated that 10% of the 65 patients given the transplanted Islets remained free of a need for insulin five years later (in 2005). The follow-up report included some other important information. A number of the patients who had received the transplanted Islets found that even though they later needed to receive insulin, they did not need as much insulin as they had prior to the transplantation. Moreover, those patients who had to resume their use of insulin found that after the transplantation they were able to maintain a more stable glucose level. Among the patients who had received the transplanted Islets, doctors observed something that related to another problem, a problem that challenges many diabetics. Often a patient with diabetes develops what is known as “hypoglycemia unawareness.” When a diabetic develops that condition, he or she can not detect evidence that his or her body needs sugar. Symptoms of “hypoglycemia unawareness” declined among those patients who had received the transplanted Islets. After medical doctors learned about the results of the Canadian experiment, they studied carefully the procedures used by those Canadian doctors. A number of doctors wanted to replicate the experiment conducted at the University of Alberto. Doctors who hoped to repeat that experiment learned that they needed to follow the following procedure. The Canadian doctors had taken Islets cells from deceased organ donors. They had prevented destruction of the beta cells by using special enzymes during the removal of the Islets cells. They had then purified and processed those beta cells. Those purified and processed cells were given to a radiologist. The radiologist used both X-rays and ultra sound to guide a plastic tube through the upper abdomen of the patient who was to receive the transplanted Islet cells. Once safely through the abdomen of that patient, the plastic tube was inserted in the patient’s portal vein (a vein from the liver). The radiologist then infused the Islets cells into the tranquilized patient. The radiologist did not infuse just a couple cells into each patient. Doctors had determined the number of Islets “equivalents” needed by each patient who was supposed to get some transplanted Islets cells. The doctors had based their determination on the patient’s body weight. The Canadian doctors had found that a diabetic needs 10,000 Islets “equivalents” for every kilogram in his or her body weight. Following the performance of such a procedure, doctors could expect the transplanted Islets cells to produce insulin for a at least 14 days. There were, as shown by the data in the published report, some patients who produced insulin for far longer than that short, 14 day period. Doctors have initiated a look at ways to refine the procedure used in Canada. One refinement that has been presented to some medical professionals employs changes in the nature of the material infused into the patient. Doctors who tested this particular refinement put a special coating on the processed and infused Islet cells. Patients who received an infusion of Islets cells with the new coating experienced fewer side effects. Prior to introduction of this new refinement, some patients had complained about mouth sores, GI problems, and increased infections. The physicians treating the patients with the Islets transplants had seen increases in the patients’ blood pressure and blood cholesterol. None of those side effects could be found among patients who got Islets cells with the new type of coating. While some medical researchers have focused on delivery of the infused Islet cells, others have looked at how to improve patients’ acceptance of those cells. As in any transplantation, the transplantation of Islet cells demands the use of immunosuppressive drugs. Those drugs put limits on the body’s natural tendency to attack any foreign material within the body. The Canadian doctors did not rely on the conventional immunosuppressive drugs when doing their Islets cells transplants. They used new drugs, drugs that proved able to enhance the patients’ acceptance of the transplanted cells. They administered those drugs according to a carefully selected pattern. One drug, doclimszumab, was given to each patient by IV. The patient received that drug immediately after completion of the transplantation. The administration of that drug was brief; the patient did not need to be hooked to the IV for a lengthy amount of time. Upon discontinuation of the doclimszumab, the patient received two other immunosuppressive drugs—sirulimus and tociclimus. The patient needed to continue taking those drugs for as long as the transplanted Islets cells produced a satisfactory amount of insulin.